RIDGID diamond cup wheels are made from Hi-Grade diamond powder with a proprietary bond engineered for maximum cutting performance. Designed with turbo segments for aggressive grinding, levelling and removal of concrete. For use with angle grinders. Diamond coated to cut through tough materials and leave a clean finish. The US540 tile wheel cuts most tiles and masonry materials with ease and precision and no water needed. This 3.5 diamond wheel cuts a variety of tile including wall tile, floor tile, porcelain, slate, stone, and cement backer board. May also be used as a fast way to remove grout. 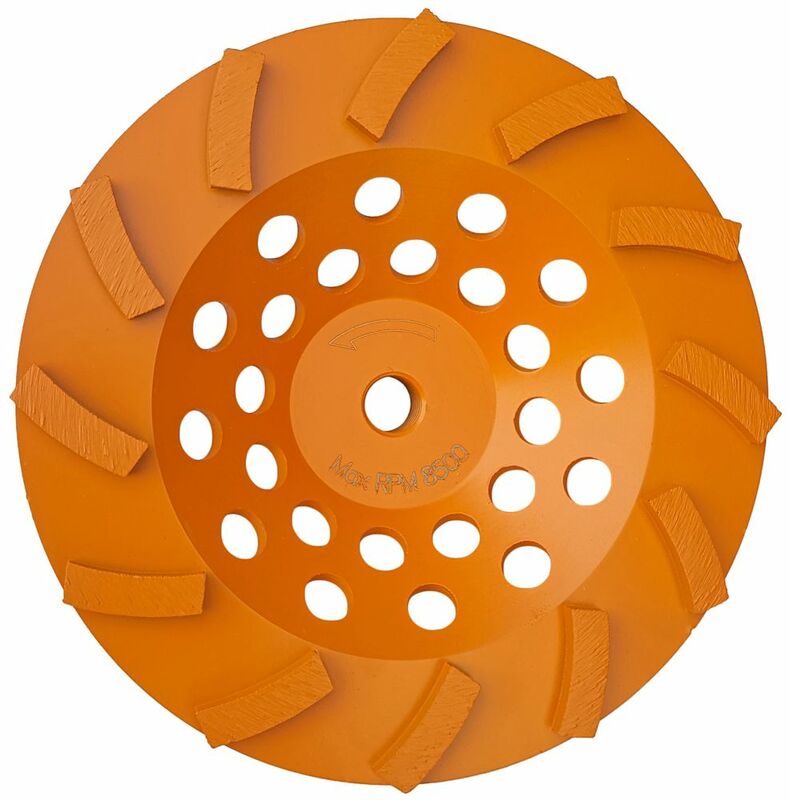 7 inch Turbo 12-Segment Cup Wheel RIDGID diamond cup wheels are made from Hi-Grade diamond powder with a proprietary bond engineered for maximum cutting performance. Designed with turbo segments for aggressive grinding, levelling and removal of concrete. For use with angle grinders. 7 inch Turbo 12-Segment Cup Wheel is rated 4.0 out of 5 by 59. Rated 5 out of 5 by Roger from Concrete grinding disk worked well. Surfaced ground about 120... Concrete grinding disk worked well. Surfaced ground about 120 square feet of solid concrete walls and used about 3/4 life of pads. Rated 5 out of 5 by Bill from Has less teeth per disc area than standard wheels. This provides better material (dried mortar m... Has less teeth per disc area than standard wheels. This provides better material (dried mortar mix) removal from concrete floor. Rated 5 out of 5 by HomeDepotCustomer from Made a one hr job out of what I thought... Made a one hr job out of what I thought would be an all day job cleaning the flashing off my poured concrete walls.